In addition to their flagship 10 year whiskey, WhistlePig also produces annual, limited edition whiskeys. This is the second rendition of Boss Hog, named Spirit of Mortimer. 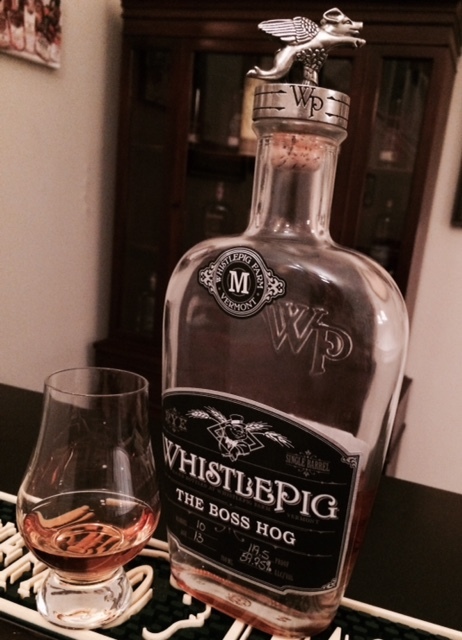 Released in 2014, it pays tribute to the distillery mascot, Mortimer, who had recently passed away. His spirit indeed lives on, atop the bottle in the form of a heavy pewter top. Nose: Spicy with an aroma of pine trees, pepper, and oregano, emphasized by delicate sweet notes of caramel, vanilla, and maple. Taste: Creamy with a lively entry of vanilla jellybeans and caramel. It's extremely bright with a delicious pine tree presence. Waves of spice absorb onto the palate, with notes of anise, black pepper, and tannin. Finish: Rich and balanced. A sweet spice and oak tannin lingers for a long, mouth watering experience. Conclusion: The Spirit of Mortimer will indeed live on, as this will always have a place in my heart. From nose to finish, it's a well balanced, complex, and delicious rye whiskey. No doubt it exceeded my expectations..so much so that I've started looking for another bottle! 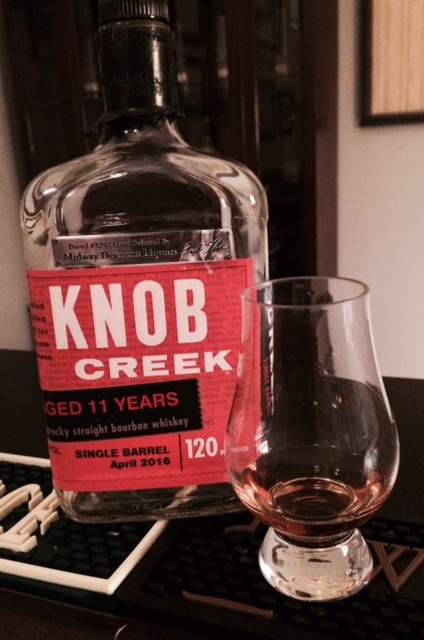 Knob Creek is a Jim Beam brand with a variety of small batch whiskies. In the last few years, Knob Creek has expanded their portfolio to include a rye whiskey, some single barrel offerings, and most recently an older, limited edition release small batch bourbon. The bottle I have today is a store select pick from one of my local liquor stores in Baltimore County. In the past, Knob Creek store picks have always been 9 years old. When I saw this was aged for 2 additional years, I was ecstatic. Nose: Burnt sugars and vanilla pudding float out of the glass. Corn and cherries are present but are fairly subtle. Savory notes trail the sweetness, with pepper spice, green herbs, and oak. Taste: Upfront lays a burnt caramel sweetness, followed by a decent amount of green herbs, cinnamon, and rye spice on the mid palate. Finish: Medium in length with a gentle spice and toasted oak. Conclusion: This bourbon exceeded my expectations! The additional two year's gives this a robust, well rounded profile and cuts down on the typical Jim beam yeast that we have grown accustomed to with the Knob Creek 9 year. If this were aged for another year or two, it may just fall in the "A" rating range- it's almost there! If your local liquor store is involved in single barrel programs, don't sleep on them; in my experience, it's usually the best bang for your buck whiskey available.